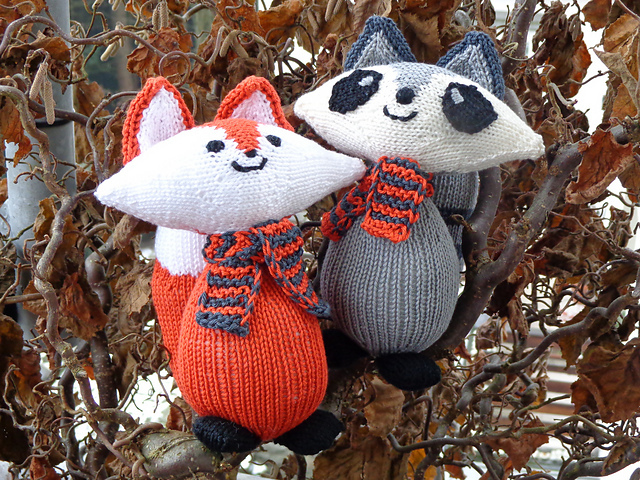 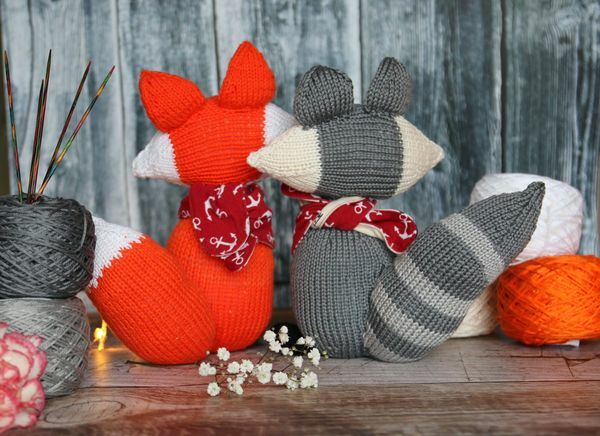 Best Woodland Friends – new pattern out now! 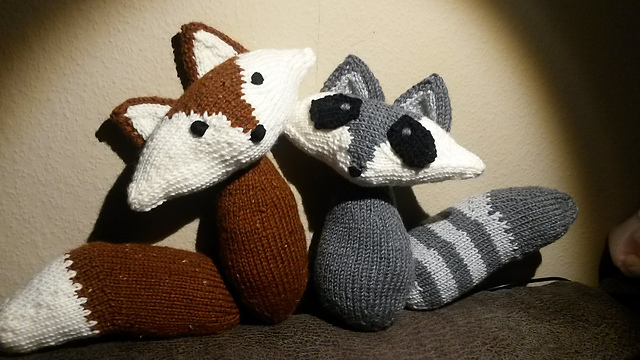 I had a fun time figuring out the shape of the heads and making it as easy as possible for all knitters to follow the pattern, which features photo tutorials for all advanced steps. 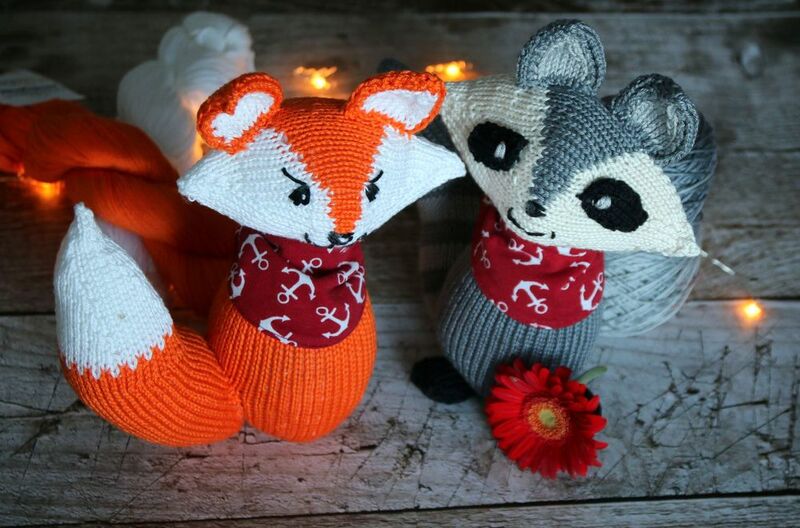 Nonetheless it is not my easiest pattern and I would recommend that you know the techniques listed below to make this couple. 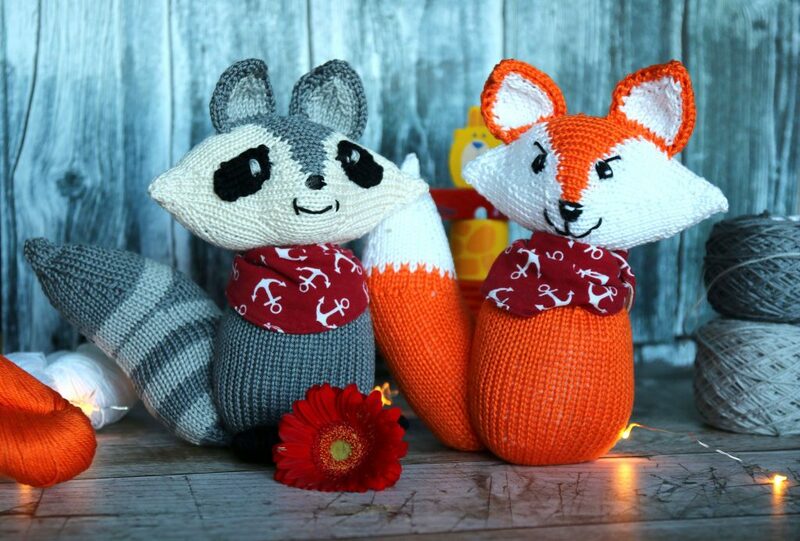 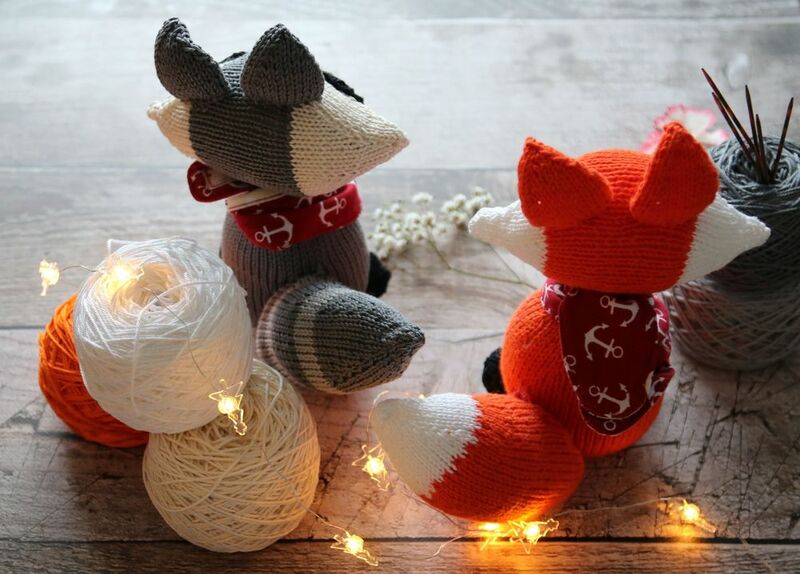 Both animals are knit in the round as far as possible and require only a minimum of sewing. 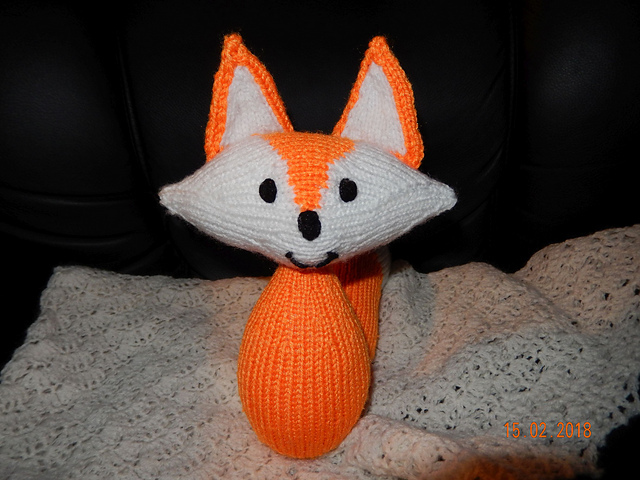 Head, ears and tail are knit separately and attached to the body later. 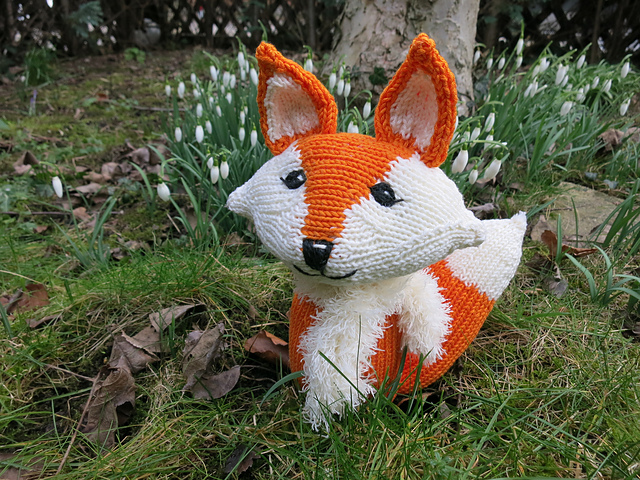 I like using cotton yarns as they are robust and machine washable and keeps it‘s shape well, which makes it ideal for baby toys, but you can use any yarn you like. 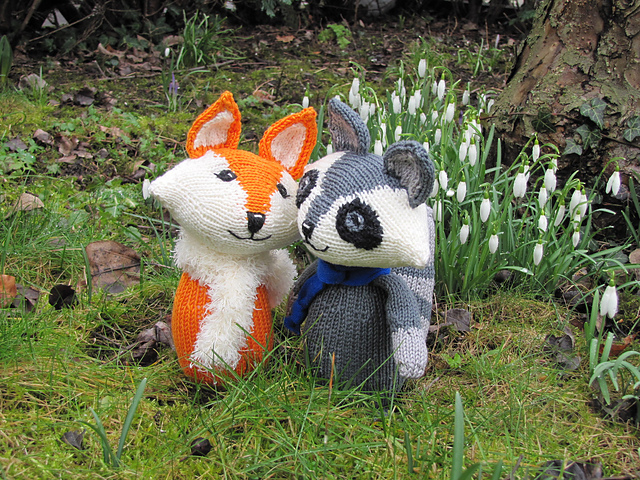 For these two I used Cascade Ultra Prima, which is beautifully shiny and feels great while knitting. 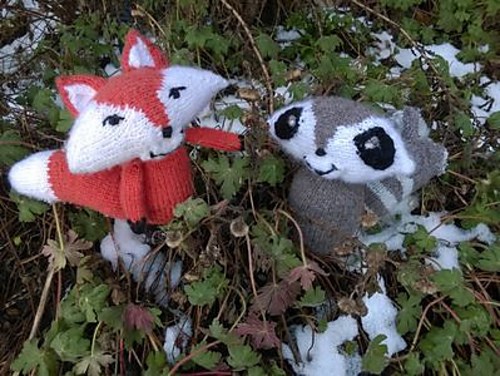 I used Cascade Ultra Prima on needles 2.5mm for my Woodland Friends. 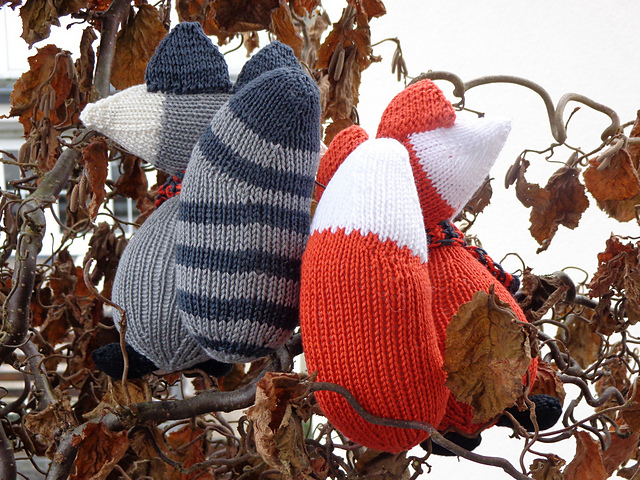 They measure 25cm from top to toe.